By Sia in Social Media. February 14, 2017 . Back in June 2016, YouTube rolled out its mobile live streaming platform to a selected number of users. Fast forward to February 2017, the mobile live streaming platform will finally be trickling out into the public as YouTube will begin rolling out the feature to popular YouTubers shortly. For those who are unaware of this particular feature, YouTube’s mobile live streaming platform is a part of the core YouTube mobile app that allows users to broadcast live from their mobile devices. If someone wishes to broadcast themselves via their mobile device, all they need to do is to fire up the YouTube app and tap on the red capture button. The user can interact and chat with their subscribers and fans as per normal with this platform. During the first phase of the mobile live streaming platform rollout, YouTube will be giving content creators with over 10,000 subscribers early access to the platform. For everyone else, YouTube promises that this feature will be made widely available "soon". 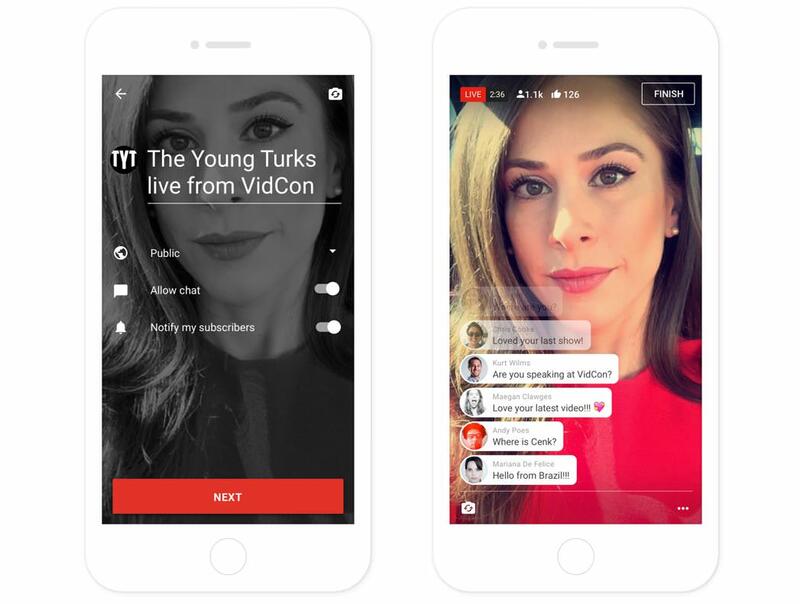 With YouTube’s mobile livestream feature finally going live, Facebook Live will finally have some competition.